100% poly. Hand wash cold. Allover sequin embellishment. Surplice front. Back loop button keyhole. Hidden back zip closure. Body measures approx 28" in lengthSleeve measures approx 24" in lengthLeg opening measures approx 26". Imported. BTWR-WR75. BTRO439 H18. 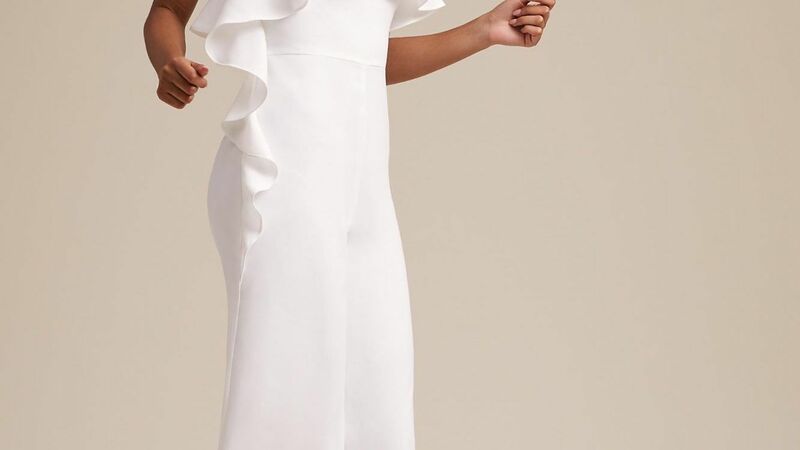 Featuring a deep surplice neckline, an elasticized waist, a back keyhole with button closure and slash pockets at the hip.